Easy to install: Bulb with an E39 mogul screw base, making it a super easy LED retrofit and incandescent/metal-halide replacement. In most cases, just screw in. 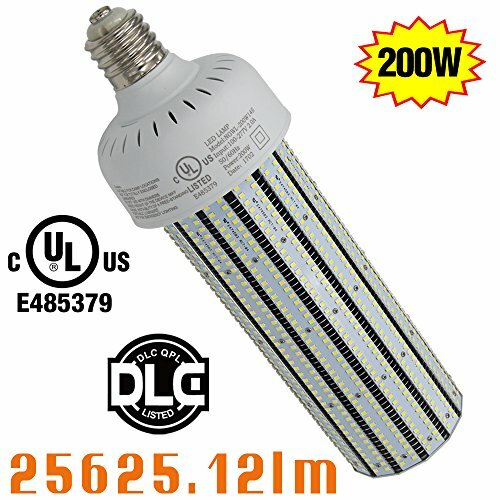 In others, since LEDs use a driver and not a ballast, you must bypass the ballast (Halide and other bulb types). Consult your electrician. Application: Only suitable for Open Fixtures,widely Uesd For High Bay Fixtures,Gyms,Warehouses,Garages,Workshop,ect. If you have any questions about this product by NGTlight, contact us by completing and submitting the form below. If you are looking for a specif part number, please include it with your message.